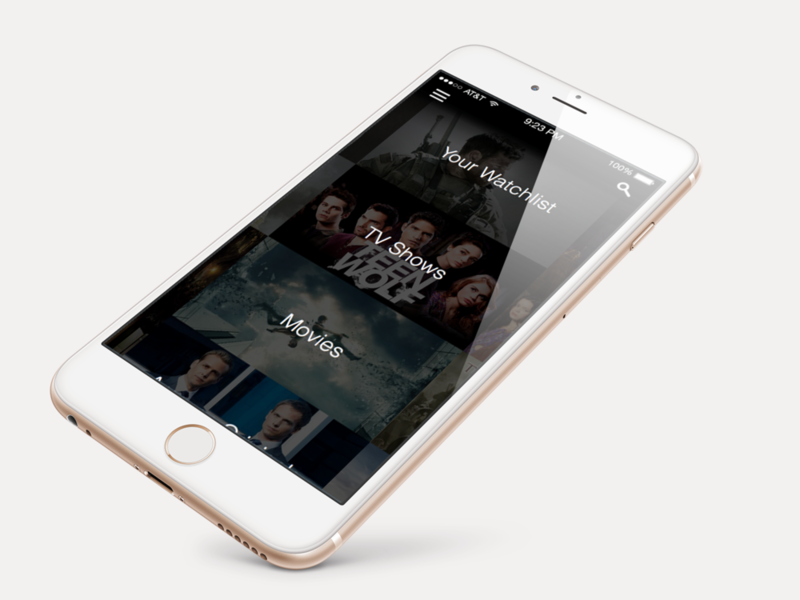 A three month internship that focuses on an iOS visual and UX redesign of a video streaming application. After completing extensive research on other mainstream apps, looking into current design trends, analyzing visual aesthetics, and understanding important metrics, helped me produce three different design solutions. This project was both heavily focused on research and the design process. Ironhide is the version I thought was the strongest solution for my problem space. This includes improving the UX and navigation in the current application, purposefully showcasing the content, and modernizing the app visuals. 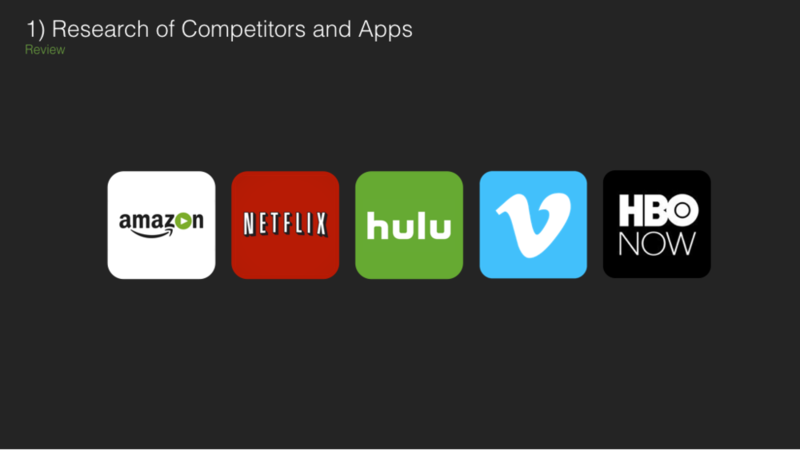 I began with researching other mainstream competitors and investigating various design trends within popular apps. To keep a record of all my findings, I took screen shots and recorded interesting UX interactions to compare and contrast the visual display and placement of specific elements. After I collected all the information for a visual and UX redesign, I dove deep into looking at numbers and analytics between the different video streaming competitors to see what areas could use more activity and improvement. Tron -- focused on three main trends; animated elements, full screen imagery, and the use of cards. It is a more enhanced version of the current app. Optimus -- focused on three main trends; on the micro interactions, parallax scrolling, and the use of typography. It focuses on list views and formats. Ironhide -- is the direction I thought was the strongest solution for my problem space. 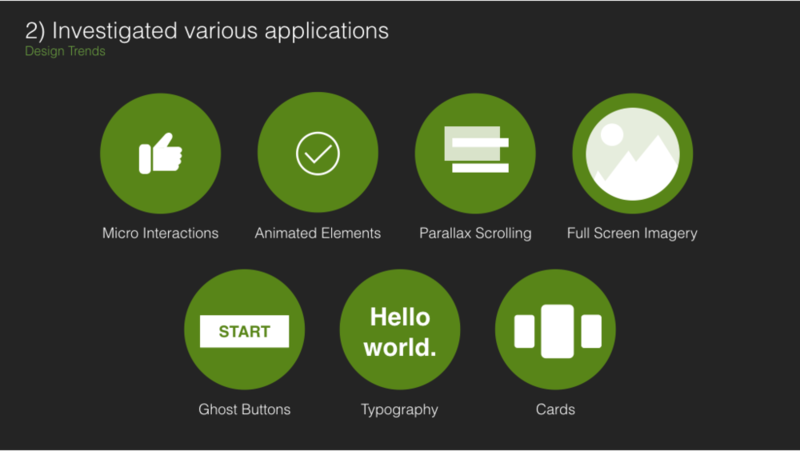 It is solely focused on micro interactions, animated elements, full screen imagery, and ghost buttons. + showing this information earlier can help customers make quicker decisions and have more places to play or add content. To see the compiled research document, please click here.